Teaching in Dubai is a dream for many. With its warm and sunny climate, Dubai has been a favourite city for many and there is a great demand and endless opportunities for teachers from UK in Dubai. Teachers in Dubai commonly earn between 9000DHS (approx. £1,800) and 15,000DHS (approx. £3,000) per month, in line with UK teaching salaries. The difference, however, is that the salary is tax-free, so you get to keep all of it. In addition, you won’t need to pay for accommodation. This is either provided free or you are given an allowance to cover the cost. Many teachers working overseas also rent out their UK homes and use the income to pay off their mortgage. 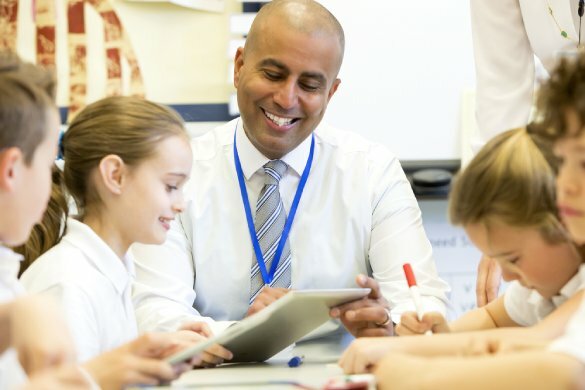 There is a variety of opportunities for UK teachers in Dubai. International British Schools, of which there are over 30 in the emirate, are the most popular choice as they teach in English and deliver a curriculum that British teachers can easily adapt to. These fee-paying schools have EYFS and Key Stages 1 to 5, just like at home, and teach GCSEs and the International Baccalaureate. Most of the children on roll are UK ex-patriots, though these schools also cater for students from Dubai as well as those from other countries whose parents prefer a British brand of education. Many of the staff will be from the UK, with others primarily from Australia, Canada, New Zealand and the US. An alternative option is to teach in a Dubai state school. These are run by the Ministry of Education and deliver a curriculum that is mostly taught in Arabic. However, a drive to develop bilingualism means some subjects are taught in English and so there is a demand for English-speaking teachers. Dubai state schools are usually boys only or girls only as there is gender-segregation in the UAE education system. Vacancies are available in both state and international schools for classroom teachers at primary and secondary levels looking for teaching jobs in Dubai. Occasionally, posts with management responsibilities are advertised too, including SENCO, curriculum leaders and senior leadership posts. There is also a great demand from the adult population to learn English. For this reason, Dubai is a great place to find work teaching English as a foreign language (TEFL). Those seeking vice-principal and principal positions will need a recognised leadership qualification, e.g. NPQH, and in some circumstances, you will also be expected to have an M.Ed. or Ph.D.
It’s an international playground that offers delights to suit every passion and does so with luxury and sophistication on the grandest of scales. It’s no wonder it draws in people from across the globe and is a magnet for the rich and famous. Dubai is one of the major cities of the United Arab Emirates, a small but affluent country on the coast of the Persian Gulf. It has borders with Oman and Saudi Arabia and is near to Bahrain, Qatar and Iran. It has a friendly relationship with the UK and is considered safe to work and visit. It has 1.5 million UK visitors each year, the majority of whom are tourists. Advice from the UK Government website states you should remember that the UAE is a Muslim country with laws and customs different to those in Britain. If you go there to work, you should be respectful of its customs, laws and religions. One of the great attractions is the city itself. Home to the world’s tallest building, the Burj Khalifa, Dubai has an amazing skyline and some outstanding modern architecture. It’s also internationally renowned for its shopping: its many malls host flagship stores from leading luxury brands and there are a host of traditional souks and markets to explore. Dubai is also famous for its cuisine. There’s a plethora of excellent restaurants where you’ll find a truly international choice of dishes. With 80% of Dubai’s population coming from overseas, this rich blend of nationalities has found its way onto the local menu. If you’re a foodie, Dubai is an ideal place to sample the world’s dishes. For those in search of adventure, there is a superb range of experiences to be had, including skydiving, ballooning, desert racing, safaris, diving, sailing, water sports, dune surfing, motorsports, golf and cycling. The list is almost endless and the facilities are of the highest standards. As educated professionals, most teachers want to experience the culture and heritage of the place they work and Dubai, despite being the most modern of cities, does not disappoint. 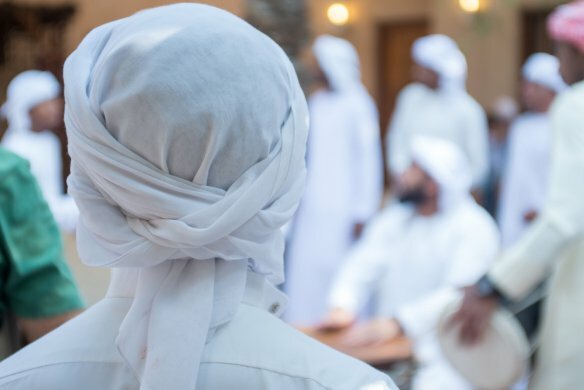 The emirate has ancient origins and there is a great deal of history to explore in and out of the city. There are also museums, art galleries and venues to visit. With a typical teacher contract being two years, you have plenty of time after work, at weekends and during the school holidays to sample all the great things this remarkable city has to offer.